THE Old Mutual group has recorded a profit increase of 36 percent in the financial year ending December 31 2018 owing to growth in total revenue, chairman Johannes Gawaxab has revealed in a statement. The increase in tax has seen a significant jump as compared to the group’s previous financial year. “Profit before tax increased by 36 percent from RTGS$242.9 million in 2017 to RTGS$329.8 million in 2018 and this was mainly driven by growth in total revenue. 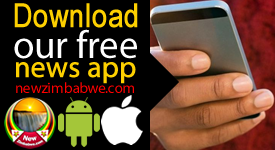 “Total revenue rose by 41 percent from RTGS$991 million to RTGS$1.4 billion on the back of growth in all main revenue lines,” Gawaxab said. 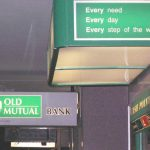 Old Mutual also saw its operating profit increase by 23 percent from RTGS$64.5 million to RTGS$79.2 million, driven by profit growth in the life, banking and asset management businesses indicating resilience of the core business operations. On the insurance front, gross written premiums grew by 10 percent for the life and short term insurance businesses owing to improved client retention and new business. Operating profit for the life business was 31 percent higher than the prior period, as a result of growth in the retail segment and in asset based fees. 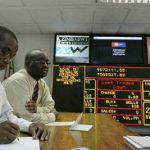 However, the short term insurance business recorded an underwriting loss of RTGS$0.3 million largely due to a 47 percent growth in claims from prior year. “The growth in claims was driven by significant private motor claims as repair costs increased on the back of foreign currency shortages that resulted in an increase in the cost of imported components and consumables used for repairs,” Gawaxab explained. The period under review also registered significant increases in fire claims due to associated accidents which were rampant especially in the year’s last quarter. Funds under management for the asset management business were up by 52 percent prompted by growth in net client cash flows and positive investment performance. The group managed to trim its administration expenses by implementing cost containment initiatives implemented by management in response to the difficult operating environment registering a 3 percent decline which saved RTGS$2.4 million as compared to 2017. Notably, assets increased by 41percent from RTGS$3.1 billion to RTGS$4.4 billion driven by growth in investments and securities as well as loans and advances. 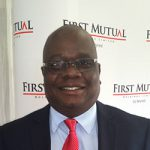 Old Mutual’s subsidiary, CABS also received three awards at the Corporate Governance Awards hosted by the Institute of Chartered Secretaries and Administrators in Zimbabwe while Old Mutual was voted the Top-performing Bank in the 2018 Banks and Banking Survey conducted by the Zimbabwe Independent. It was also presented an award for being a Superbrand in the Life Assurance Sector at the 2018 Super brands Awards.